Cabrillo High School hosted an event to promote awareness of human trafficking recently, educating students on the dangers of trafficking and what help is available. Cabrillo’s Lori Andrews, dean of students, helped to organize the event, working with the City of Long Beach, YMCA, Long Beach Police Department, City Prosecutor’s Office, Los Angeles County Probation Office and other groups to provide students with information and resources. 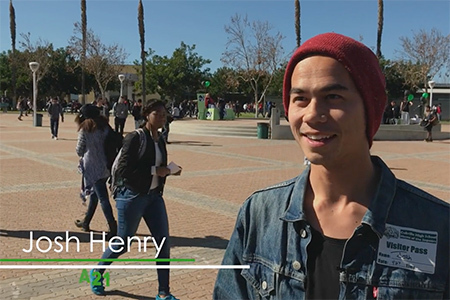 Josh Henry of the nonprofit A21 group appears in a video about Cabrillo High School’s recent event to raise awareness of human trafficking. His organization and others partnered with the school on the event.